Turmeric is an ancient Indian spice that has been used for thousands of years. Turmeric possesses a powerful compound, called curcumin, which has anti-inflammatory effects and is an active antioxidant. Turmeric is an ancient Indian spice that has been used for thousands of years. The notable yellow-colored root plant of the ginger family gives curries its famous yellow color. In southeast India, the plant thrives in areas with considerable amounts of rainfall. This widely used spice has a peppery, warm, and bitter flavor, along with a mild fragrance barely suggestive of orange and ginger. The roots are boiled, dried in hot ovens, and then ground into a deep orange-yellow powder, when not used freshly. Turmeric is not only well known for its distinctive flavor, but for its powerful health benefits too. Turmeric possesses a powerful compound, called curcumin, which has anti-inflammatory effects and is an active antioxidant. Antioxidants seek out harmful biological waste products, called free radicals, and eliminate them before they cause damage to cells that potentially cause cancer. The anti-inflammatory effects of curcumin help prevent long-term inflammation. Short-term inflammation is the natural first line of defense in the body against any foreign invaders and is beneficial to the body. On the other hand, long-term inflammation can cause various diseases and degenerative conditions. These include heart disease, cancer, metabolic syndrome, Alzheimer’s disease, and other such conditions. Another benefit of turmeric is that it acts as a natural pain reliever due to its spasm preventative properties. It can smoothen kinks in the muscles, as well as reduce digestive and menstrual cramping. Turmeric can help improve brain functioning and decrease the risk for brain diseases. A protein called brain-derived neurotrophic factor (BDNF) has been linked to improved memory and brain function. Curcumin increases the levels of the brain hormone BDNF, which stimulates the growth of new brain cells. Also, the amount of iron in turmeric leads to increased hemoglobin production and blood flow. Proper amounts of oxygen to the brain can improve cognitive performance and decrease the risk of Alzheimer’s disease and dementia. Turmeric can also help reverse the progression of heart disease. This is done by curcumin reducing long-term inflammation in the heart. In a recent study, scientists have found that individuals who consume curcumin had a 65% less chance of getting a heart attack in the hospital. It also helps that turmeric aids the blood vessels in maintaining a healthy blood pressure. One tablespoon of turmeric contains 170 milligrams of potassium, compared to just 2.6 milligrams of sodium. This helps the blood vessels relax and maintain a proper blood pressure. For individuals with cancer, studies have suggested that turmeric can prevent the growth of existing prostate cancer cells and even destroy cancer cells. It also has protective effects against tumor cells such as T-cell leukemia, colon carcinomas, and breast carcinomas. Turmeric is a great herb to incorporate into the diet. It can prevent the growth of existing prostate cancer cells and even destroy cancer cells. Another turmeric benefit is that it can assist in energy production and antioxidant defense since it has a high manganese content. Manganese is a mineral that is important for a number of enzymes, which are essential to energy production and antioxidant defenses. Barde, Y. A., Leibrock, J., Lottspeich, F., Thoenen, H., & Yancopoulos, G. (1993). U.S. Patent No. 5,180,820. Washington, DC: U.S. Patent and Trademark Office. Coussens, L. M., & Werb, Z. (2002). Inflammation and cancer. Nature,420(6917), 860-867. Menon, V. P., & Sudheer, A. R. (2007). Antioxidant and anti-inflammatory properties of curcumin. In The Molecular Targets and Therapeutic Uses of Curcumin in Health and Disease (pp. 105-125). Springer US. Libby, P., Ridker, P. M., & Maseri, A. (2002). Inflammation and atherosclerosis.Circulation, 105(9), 1135-1143. Lumeng, C. N., & Saltiel, A. R. (2011). Inflammatory links between obesity and metabolic disease. The Journal of clinical investigation, 121(6), 2111-2117. Phillips, H. S., Hains, J. M., Armanini, M., Laramee, G. R., Johnson, S. A., & Winslow, J. W. (1991). BDNF mRNA is decreased in the hippocampus of individuals with Alzheimer's disease. Neuron, 7(5), 695-702. Shimizu, E., Hashimoto, K., Okamura, N., Koike, K., Komatsu, N., Kumakiri, C., ... & Iyo, M. (2003). Alterations of serum levels of brain-derived neurotrophic factor (BDNF) in depressed patients with or without antidepressants. Biological psychiatry, 54(1), 70-75. Wongcharoen, W., Jai-Aue, S., Phrommintikul, A., Nawarawong, W., Woragidpoonpol, S., Tepsuwan, T., ... & Chattipakorn, N. (2012). Effects of curcuminoids on frequency of acute myocardial infarction after coronary artery bypass grafting. The American journal of cardiology, 110(1), 40-44. Xu, Y., Ku, B., Tie, L., Yao, H., Jiang, W., Ma, X., & Li, X. (2006). Curcumin reverses the effects of chronic stress on behavior, the HPA axis, BDNF expression and phosphorylation of CREB. Brain research, 1122(1), 56-64. Krishnaswamy, K. (2008). Traditional Indian spices and their health significance. Asia Pacific journal of clinical nutrition, 17(S1), 265-268. Kumar, K., Yadav, A., Srivastava, S., Paswan, S., & sankar Dutta, A. (2012). Recent Trends in Indian Traditional Herbs Syzygium Aromaticum and its Health Benefits. Journal of Pharmacognosy and Phytochemistry, 1(1). Singletary, K. (2010). 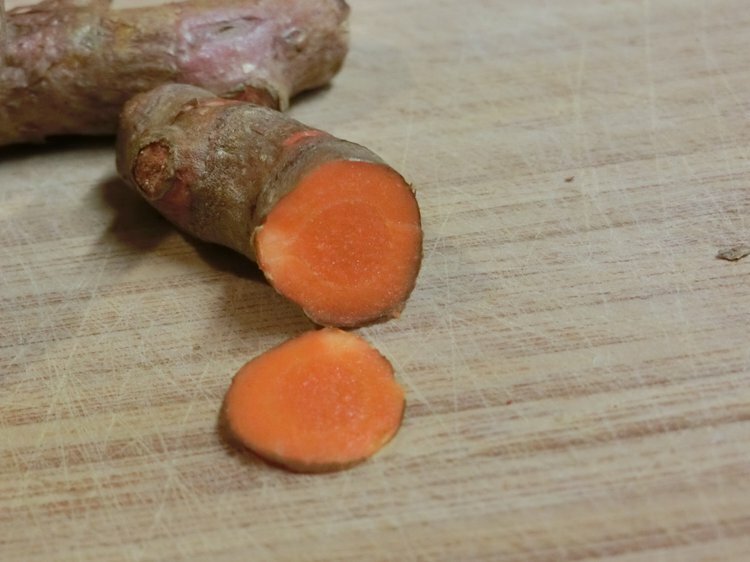 Turmeric: An overview of potential health benefits.Nutrition Today, 45(5), 216-225.